Our one-year Master of Science in Additive Manufacturing and Design (MS AMD), Master of Engineering in Additive Manufacturing and Design (MEng AMD), and Graduate Credit Certificate in Additive Manufacturing and Design programs offer students and working engineers a unique opportunity to become technically outstanding experts in additive manufacturing in residence at University Park or online via Penn State World Campus. The MS AMD and MEng AMD degrees are 30-credit degree programs that are offered resident, in the case of the MS AMD, and online, in the case of the MEng AMD, to graduate students to provide the analytical and practical skills required to digitally design, develop, analyze, numerically model, optimize, fabricate, and inspect new components and subassemblies using appropriate additive manufacturing technologies. This requires knowledge across multiple domains, including industrial engineering, mechanical engineering, engineering design, engineering science, and materials science. The Graduate Credit Certificate in AMD is a 12-credit, non-laboratory graduate certificate that can provide you with knowledge and skills in additive manufacturing and design that can open doors to new career paths and further education focused on additive manufacturing and design. It can serve as an entry into fields that make use of 3D printing, including aerospace, consumer goods, energy, medical, and oil/gas. It’s also an excellent way for already established engineers to add foundational knowledge of this emerging technology to their résumé and skill set. The programs are housed in the Department of Mechanical and Nuclear Engineering, but in reflection of the multi-disciplinary nature of additive manufacturing, will integrate graduate coursework across multiple departments from two colleges, Engineering and Earth and Mineral Sciences. Contributing departments include Mechanical and Nuclear Engineering, Industrial and Manufacturing Engineering, Engineering Science and Mechanics, School of Engineering Design, Technology, and Professional Programs, and Materials Science and Engineering. 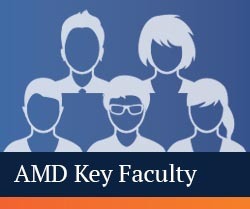 Visit the Key Faculty page to learn more about the instructors. Looking Through an "AM Lens"